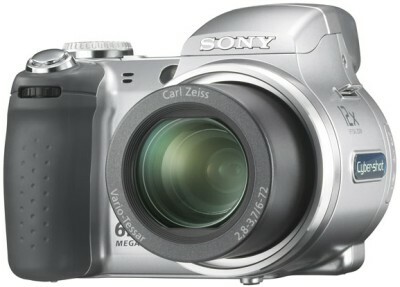 Recently i bought Sony Cybershot DSC-H2. 1. It’s a Monster – both Looks wise and Performance wise. Very bulky – but yes, it has a substantial existence in ur hand. 2. Performance wise – awesome. I am not a expert in photography – so no technical stuff here. But performance what i have gauged in very dim light or total darkness is superb. Takes time to capture and process in ‘night mode’ + flash but pictures are of very high quality. 3. Decision to buy H2 – was a tough one. Actually the only thing against this camera (if u consider this as a disadvantage) is that its quite bulky, u have to think twice to take it to every place. But thats a different issue altogether. Then the disadvantage is not of the camera but of the mind perhaps…. 4. 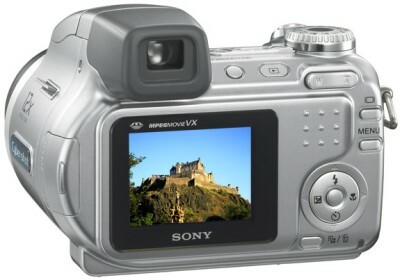 Other choices i considered after making the final choice – Nikon S5, Canon Powershot S3IS, Sony DSC H5. This entry was posted on October 6, 2006 at 12:43 am	and is filed under My Stuff. You can follow any responses to this entry through the RSS 2.0 feed. You can leave a response, or trackback from your own site. Well CD you have a monter true..But a wonderful weapon to freeze ‘those’ moments of time. Looks quite heavyweight. What is the size of the flash memory ? And how many minutes of video can it capture ?